Start diagnostic mode 15 seconds after turning the ignition switch to ON. Otherwise, some items cannot be checked. (a) The "Failure Diagnosis" screen will be displayed by selecting the "Failure Diagnosis" switch on the "Service Menu" screen. 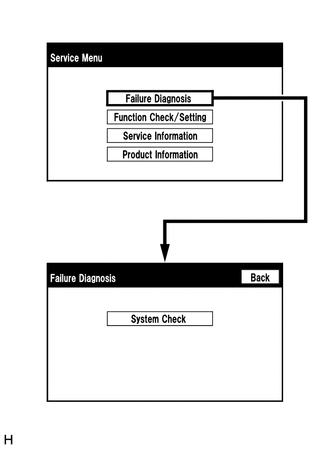 (a) The "System Check Mode" screen will be displayed by selecting the "System Check" switch on the "Failure Diagnosis" screen. 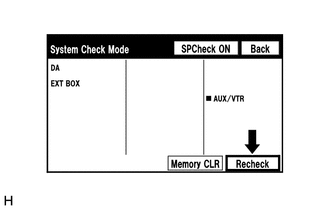 Select the "Memory CLR" switch for 3 seconds. 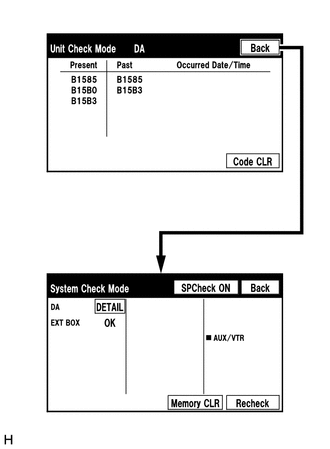 "Recheck" will dim during a system check. 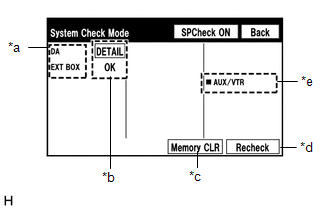 Read the DTCs on the "Unit Check Mode" screen. - Check the power supply circuit of the device. - Check the communication line of the device. 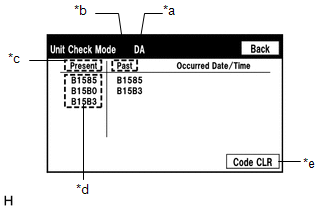 Selecting "Code CLR" for 3 seconds clears the diagnostic memory data of the target device (both diagnostic system check result and the displayed data are cleared). (1) If the check result is "DETAIL", select the displayed check result to view the results on the "Unit Check Mode" screen and record them. When all results are "OK", no DTCs are present. 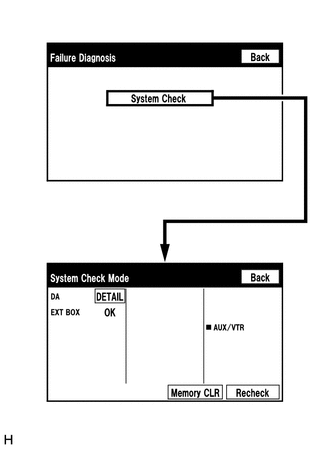 When proceeding to view the results of another device, select "Back" to return to the "System Check Mode" screen. Repeat the above step to view the results of other devices. 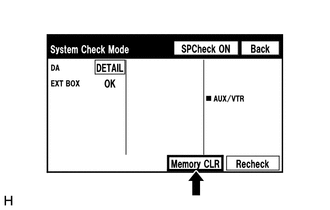 (1) Select "Memory CLR" for 3 seconds. When clearing the DTCs using the "Unit Check Mode" screen, select "Code CLR" for 3 seconds. 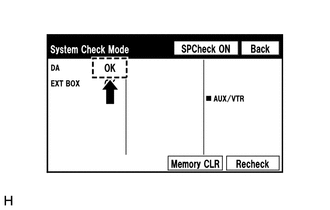 (2) Confirm that all diagnostic codes are "OK" when the check results are displayed. If a result other than "OK" is displayed, perform troubleshooting again. 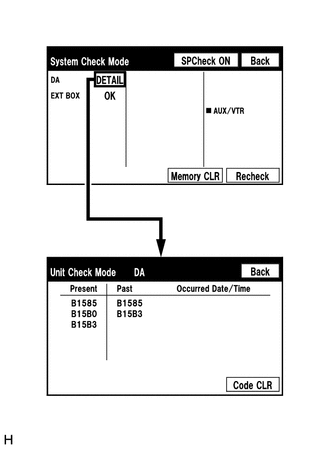 When the DTCs are cleared using the "Unit Check Mode" screen, select "Back" to return to the "System Check Mode" screen and perform this operation.